Last weekend marked our first attempt at yard work. To be fair, Joe did most of the work outside and thanks to him our front and back yards are now looking so much better with mulched beds, pruned bushes and trees and a few pots of pansies for color. I’m excited to plant more flowers but I’m waiting until the threat of frost dissipates in April. My Dad was a huge help and we’re lucky to have his years and years of expertise guiding us. To keep everyone fueled I made this spicy breakfast casserole. The casserole will be best if you make it ahead of time and let it sit for a few hours or even better, overnight, in the fridge. If you wanted to make this more hearty you could add 4-5 cups of bread cubes, whatever kind you like, added on top of the sausage layer. I left the bread out but it is a great way to make a savory bread pudding of sorts. Alternately, you could serve this with tortillas so everyone can make their own breakfast burrito. 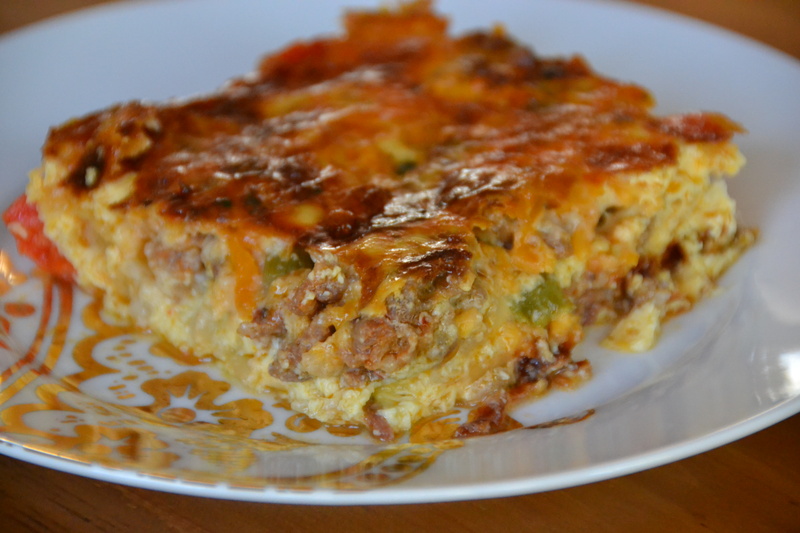 Either way, this chorizo breakfast casserole simple to put together, delicious and packs in plenty of veggies. layer sausage mixture in the casserole dish,then cheese mixture and repeat. We do have some couches now – much better!!! Thanks for reading and happy cooking Ab! Pur si simplu perfect. 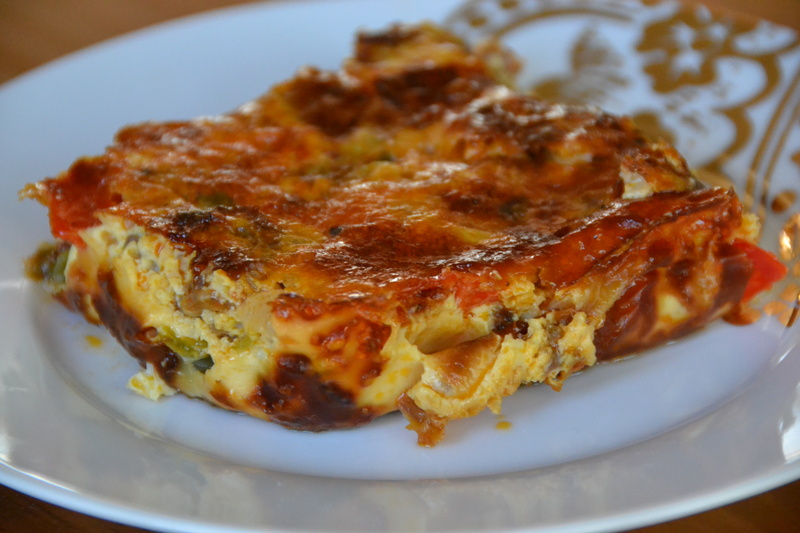 Chorizo Breakfast Casserole merita distribuit pe facebook.